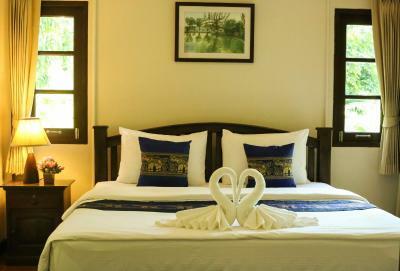 Lock in a great price for Bang Po Hut – rated 9.4 by recent guests! We stayed for 5 nights and found the place to be nice and clean. Tang was there to meet us To give us the keys and it was easy with the airport pickup. The rental scooter was one of the best ones we’ve had in Asia. The room was cleaned daily. There were only a few others staying there while we were there and it was quiet and peaceful at night. 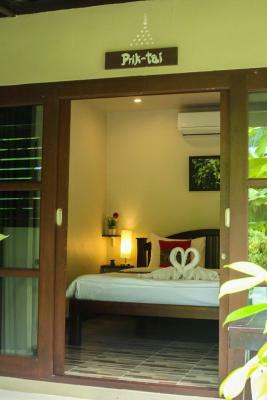 Bang Po Hut is a hidden gem located in a lush and tropical surroundings. The host Khun Tang is a very helpful and a friendly lady. The hut was spotless, bed was very comfy and aircon was quiet. I loved waking up to the nature sound, loved the view of lush garden. 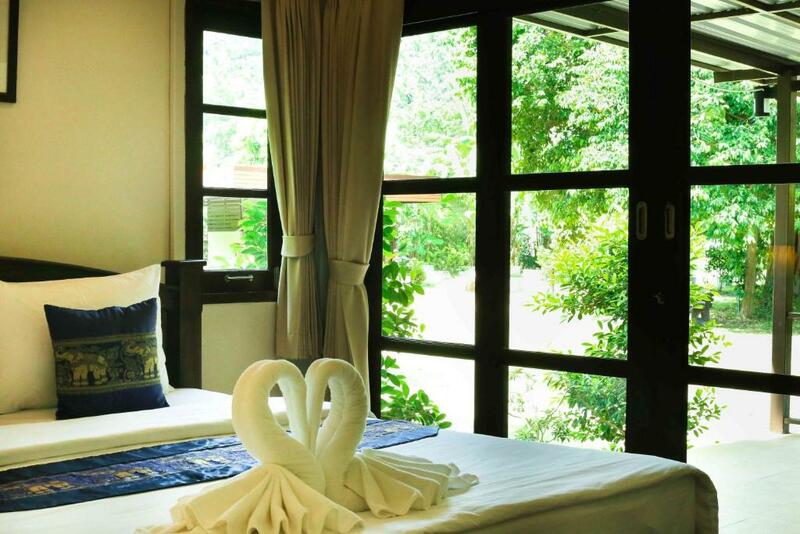 Bang Po Hut is ideal for people looking to escape the resort crowds and the hustle bustle of it, and for those looking for peace and tranquility. 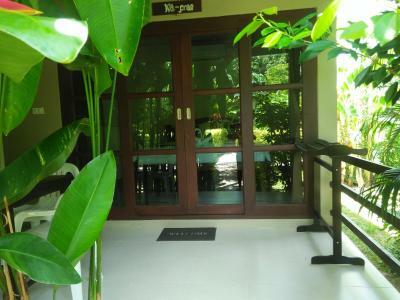 Bang Po beach, 7/11, pharmacy, ATMs and restaurants are 8 mins walk from the property. Khun Tang offered a pickup/drop off but i wanted to walk myself, bit of a walking everyday is good for you :) Highly recommended!! Beautiful property and sweet staff!! 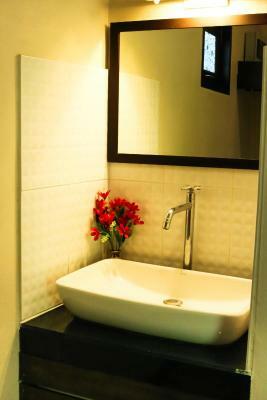 The stay is comfortable if you're looking for a peaceful getaway. 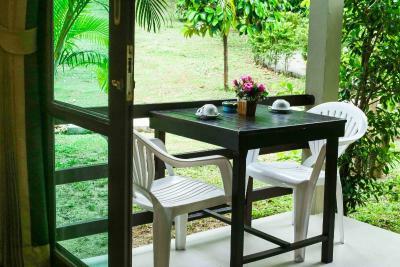 It's not a.beach facing property, so it's a different kind of feel,more like a homestay. It even has a semi kitchen. The property also provides a bike for.rent for a very reasonable price! It was good, very quiet and secluded, staff went out of their way to make sure everything was good, small bungalow's all separate from each other in a garden setting... Very nice if your a couple plus a little kitchen outside if you want to Cook food! 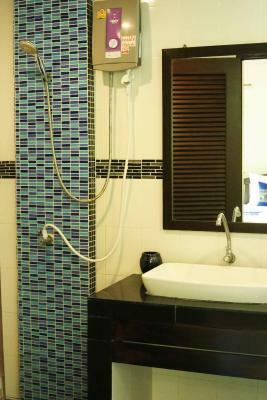 Neat and tidy, good hot water, outside private kitchenette very handy. Internet works good. Generally under cover parking available. Very friendly service. Nice and quiet location. Nice huts with friendly staff and a little kitchen for cooking. We also rented a scooter with them- 2017 Honda Click for 150 Baht a day, we recommend you do this as it is a little walk to the main road. I like Everything. Khun Tang and her family are the best host! 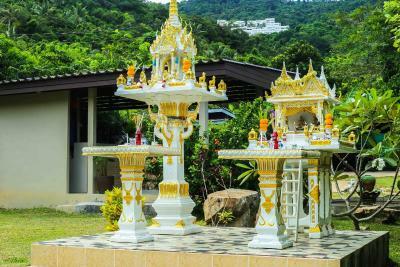 One of our top picks in Ban Bang Po.Located in Ban Bang Po within 2.8 miles of Ang Thong Marine National Park, Bang Po Hut has accommodations with a flat-screen TV and a kitchen. Free WiFi is available. A terrace with mountain views is offered in each unit. Both a bicycle rental service and a car rental service are available at Bang Po Hut. 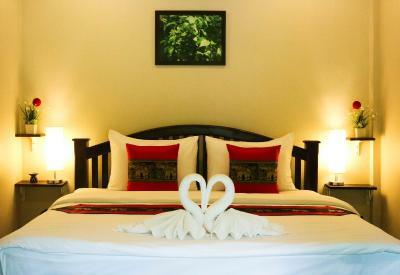 The nearest airport is Samui International Airport, 10 miles from the property. 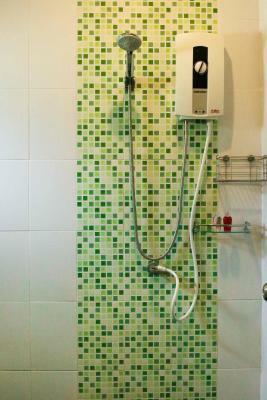 This property is also rated for the best value in Ban Bang Po! Guests are getting more for their money when compared to other properties in this city. When would you like to stay at Bang Po Hut? 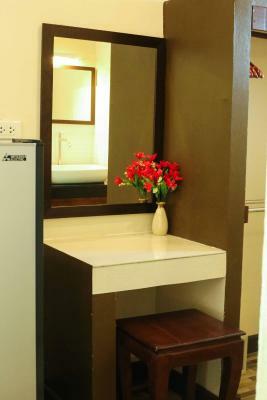 This double room has air conditioning, dining area and tea/coffee maker. This double room features a sofa, air conditioning and seating area. House Rules Bang Po Hut takes special requests – add in the next step! We went to several restaurants close to the property by the beach and they were all average but quite expensive. The surroundings of the hotel was beautiful! Staff were lovely and very helpful, we rented a motorbike off the hotel which meant that getting around was super easy. We even extended our trip! Our stay was perfect, thank you so much. 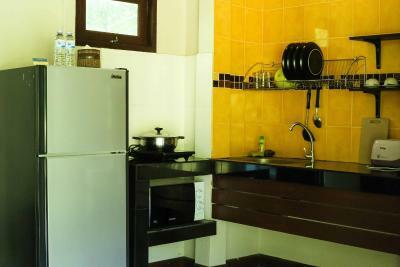 Really atmospheric bungalow, very nice friendly and helpfull owner, very clean room and kitchen Very comfortable beds. I would recommend this place to anyone !!! 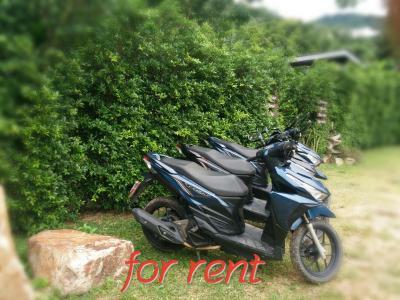 You can also rent a scooter for 200 baht per 24 hours without any problems. The staff offers you a shuttle to the 7-11 down the road. No privacy, neither in your bungalow, nor on the terrace. People from other bungalows are too close and the staff walks in front of all bungalows. The fridge in the room is quite noisy. No hangers for clothes. Only two shelves for clothes, which is not enough. No running air through the bungalow as the only window is the glass door. Very uncomfortable sink: spills all the water on your belly. Electric heater doesn't make the water really warm. A hand soap would have been nice! Fairly new bungalows. Clean. Comfortable mattress and pillows. Close to Nathon pier. Big fridge. 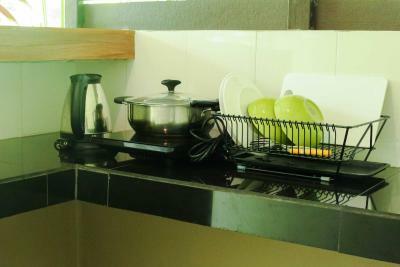 Has a small kitchen with hot water thermos and other kitchen staff. Lots of plugs, which is unusual for most hotels! Friendly staff ready to help. Good internet speed. Everyday cleaning+ two bottles of water. Good black-out curtains. Mosquito spirals provided every evening. We didn't see many mosquitoes. Everything ,especially the owner is very nice. I think you need to preorder breakfast at the property, because we didn't assuming it was included. Nicely designed and laid out modern and private bungalows complete with your own kitchen. 5 mins walk to beach. Very charming little resort with an exceptionally nice and helpful receptionist. I would stay here again.